The perfect set of balloons for the boy's birthday! 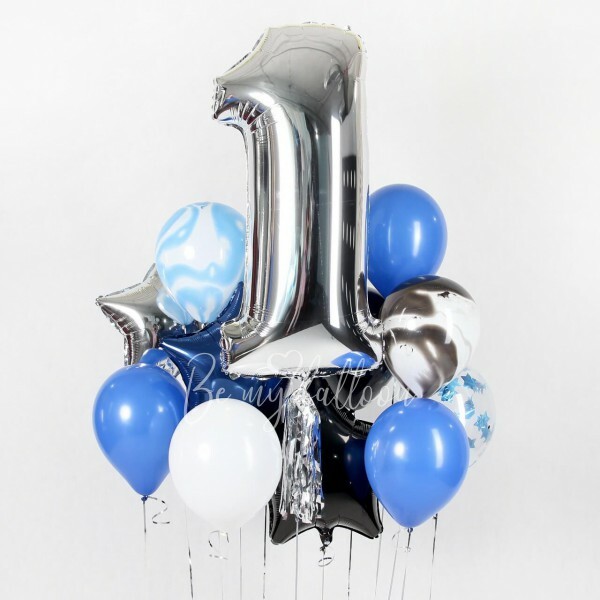 The most masculine colors of balloons are used in this set - black, blue, silver. A marble balloons add some originality to it. The set includes: - 1 foil number 36" with tassel - 4 foil stars 20" - 2 marble balloons 11" - 1 balloon with confetti 11" - 6 latex balloons 11"